Hello! 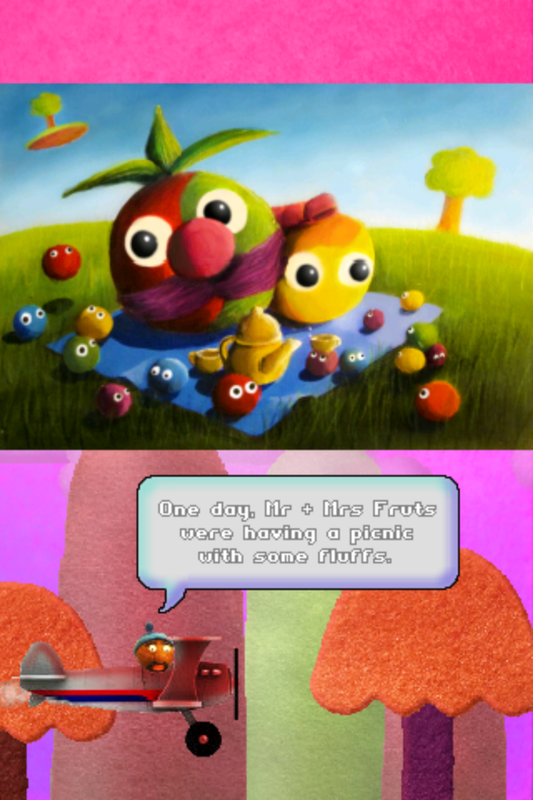 We thought we’d give you an update on the progress of Frutorious. Well, we’ve just sent out our penultimate build for testing. Everything is in the game now apart from the tutorial and any last tiny bugs we might catch – which means we’re weeks away now from submitting the game to the AppStore. We can’t even begin to describe how much fun it’s been to make Frutorious: we can all agree we’ve put our heart and soul into bringing it out, and we couldn’t be happier with the final result. Being only weeks away now until we can finally get it out into the wild and in the hands of gamers, we’ve had time to reflect about the development process: what made it fun, and what made it tricky. Every member of Infinite State Games lives in almost opposite ends of the country, which means during the entire development, neither of us has seen each other in person once! However with some late night texts, goofy but life-affirming impromptu Google + video calls and the wonders of DropBox our physical distance never became an issue for us. We always felt deeply connected to each other and the game. Most evenings one of us would get a text from another with something along the lines of ‘Dude, let’s put a beard on the sprite in Pro!’ or ‘Dude, let’s put in a ropey looking owl that goes for you if you get too close!’ or similar surreal proposition. When it came to making the levels, we were lucky in that Charlie had written an absolutely brilliant in-game level editor in which we could place objects, test it all out, then dump it over as an email to be put into the game. It took two of us about 2 months to make all 108 levels in the end. 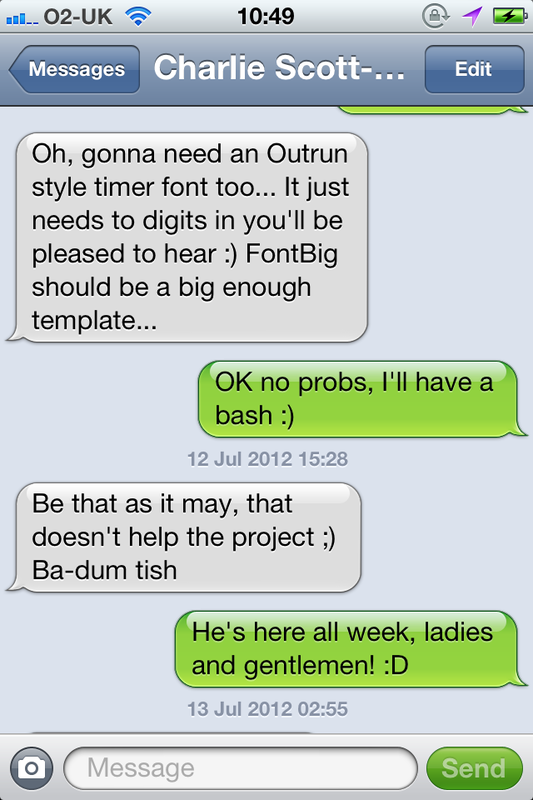 Of course, the best bit about having the editor on our phones was the fact that we could make levels ANYWHERE! When the levels were done to our satisfaction, we asked a team of hand-picked wonder testers play through all the levels in a random order, rating each one for fun and difficulty. This way, we got told which were the levels that needed improving on, and also an idea of what our difficulty curve should be like. This worked EXCEEDINGLY well, and within minutes of having all the results in, we had a game in a sense of order. A few tweaks here and there, and suddenly we had our ‘GOODNESS GRACIOUS; ITS A GAME!’ moment. Now, with the last morsels on the task list approaching sign-off, submission to the AppStore is imminent. Then… well it’s fingers crossed we’ve got the word out to enough people. All said and done, we just want people to play it and smile; that’s when our job is complete. One thing we can say for certain, we are all going to miss working on this one, and we think how much fun we had making this really shows in the soul of the game itself – and that’s something that you just can’t buy.